"This Memorial Day and Independence Day, as I reflect on the legendary contributions of Mahal, I do so with the firm knowledge that our common values remain our most effective weapon in our struggles against enemies near and far, and our greatest strength in building the societies we can proudly pass on to future generations." Barbara Bluhm-Kaul and Angie Craig, candidate for MN-2, at our Meet the Candidates coffee this week. Liza Donnelly, cartoonist for the New Yorker. Registration deadline is May 23rd - RSVP today! Want to host an event in your area? Give us a call! Katie McGinty is facing one-term Senator Pat Toomey (R-PA), who supports defunding Planned Parenthood. Katie is a proven leader with a long track record of creating positive change in government and in business. She is one of 10 children in her family and the first to graduate from college. President Bill Clinton asked Katie to become the first woman to lead the White House Council on Environmental Quality. She drove an agenda that delivered historic gains in renewable energy, ecosystem protection and ensured clean air and water. Katie shares JAC's commitment to a strong U.S.-Israel relationship. She has said that as Senator she will "do all that (she) can to guarantee Israel's security and ensure (Israel) continues to prosper. Israel's security is America's security." Throughout her career, McGinty has been an advocate for women and in the Senate she will continue this path. This race will be very close and very competitive. A win in this state can tip the balance of power in the Senate and place a much-needed, strong pro-choice voice in the Senate. Join JAC in supporting Katie McGinty. "It's not enough to condemn campus sexual assault. We need to end it." "I want to send a message to every survivor of sexual assault: Don't let anyone silence your voice. You have the right to be heard." Provide comprehensive support to survivors. Ensure fair process for all in campus disciplinary proceedings and the criminal justice system. Increase sexual violence prevention education programs that cover issues like consent and bystander intervention, not only in college, but also in secondary school. Israel is unique among America's allies in that it is the only country on earth that enjoys special dispensation to install modifications on U.S.-made military hardware, according to a new report . Today, after 68 years, Israel has diplomatic relations with 158 of the UN's 193 states. It has 79 embassies abroad, 22 consulates and six special missions. Eighty-six countries maintain embassies in Israel. Yet today, as was the case in 1948, there is often a sense of intense isolation in this country. The prime minister posted a photo of Yonathan "Yoni" Netanyahu to social media, along with a moving message for Yom Hazikaron, which also honors victims of terror. Nearly three-quarters of Israeli Jews, 71.5 percent percent, do not view Israel's control of the West Bank as "occupation," a monthly survey found. Exactly the same percentage of Arabs consider it an occupation. The latest skirmish between Israel and the Gaza Strip earlier this month proved once again that Hamas sends its "subcontractors," as the Israel Defense Forces (IDF) likes to call them, into the field. Israel has suspected for years that the armed wing of Hamas uses the Al-Quds Brigades of Islamic Jihad and the Popular Resistance Committees whenever it wants to escalate tensions with Israel without engaging in an all-out clash. Iran said it successfully test-fired a high-precision ballistic missile that can reach Israel. Iranian officials have repeatedly underscored that the country will continue to strengthen its military capabilities such as missiles, and that Iran's defense capabilities will be never subject to negotiations. On the eve of a bid to have her church divest from companies allegedly profiting from Israel's control of the West Bank, Hillary Clinton reasserted that the Boycott, Divestment and Sanctions movement was counterproductive to peace. "When anti-Semitism is on the rise across the world, we need to repudiate forceful efforts to malign and undermine Israel and the Jewish people. Anti-Semitism has no place in any civilized society-not in America, not in Europe, not anywhere. We must never tire in defending Israel's legitimacy, expanding security and economic ties, and taking our alliance to the next level." Why Four Professors Are Suing the American Studies Assn. Together with two of their colleagues, Simon Bronner and Michael A. Rockland have filed suit against the American Studies Association (ASA), for violating the terms of its charter by boycotting Israel. "[T]he academic boycott of Israel has nothing to do with the ASA's purpose of "broadening knowledge about American culture." Indeed, the boycott is at odds with the ASA's mission by reducing the ability of U.S. and Israeli scholars and students to work collaboratively on the study and teaching of American culture. The anti-Israel groups in the Jewish community seem to believe that they deserve space to promote their vision. They are, in fact, petulant over the fact that the organized Jewish community neither shares their anti-Israel views, nor believes that it is within their own mission statement to promote those anti-Israel views. That is just too bad. A new Utah law that goes into effect on Tuesday will force doctors to shirk their promise to "do no harm" by dangerously over-anesthetizing women who seek a later abortion. A number of states have unleashed a new strategy to further restrict a woman's legal right to end a pregnancy: Ban the safest way to perform a second-trimester abortion. For pro-choice activists and supporters, the complaint filed against the MedStar Washington Hospital Center represents much more than a passionate doctor pitted against her employer. This is about abortion stigma and the need to affirm and normalize abortion's role in basic health care-something that's infinitely harder to achieve when providers are silenced. Maryland Gov. Larry Hogan signed a bill into law Tuesday yielding the most expansive insurance coverage for contraception in the country. By eliminating most co-pays and all prescriptions for birth control, demanding coverage for up to 13 months of birth control at a time, and shedding costs for vasectomies, the law pushes Maryland to the forefront of the national movement to expand contraception access. From a bid to overcome resistance to building a mosque in New Jersey to defending a Muslim student at a military academy who wants to wear a hijab, Jewish groups this week joined efforts to stop anti-Muslim discrimination. The number of hospitals in the United States that are Catholic-owned or affiliated increased by 22 percent over the past 15 years, posing problems for the provision of reproductive health care, according to a new report. Gun safety groups are condemning National Rifle Association board member Ted Nugent for promoting a fake video of Hillary Clinton being shot. The groups are calling for the NRA to condemn Nugent or remove him from the organization's board of directors and suggesting that "common sense NRA members" should disassociate themselves from the group if it will not confront Nugent. In January the social media giant announced it was banning the sale of guns and ammunition on the site. The move was the culmination of months of behind-the-scenes lobbying from gun violence prevention advocates coupled with internal recognition at Facebook that the site is becoming a major e-commerce marketplace. But the ban isn't working. "Under the Gun" examines why our elected officials have failed to act on gun violence prevention. Texas has quietly reached a milestone: More than a million residents now have handgun licenses, one of the biggest citizenries in the country authorized to carry concealed and unconcealed firearms. As of April 30, there were 1,017,618 active handgun license holders in Texas, according to the state agency that oversees the process, the Department of Public Safety. In a year when many states are making it harder to vote, some are pushing in the opposite direction. Two weeks ago, Gov. Peter Shumlin signed a bipartisan bill making Vermont the fourth state in the country to enact automatic voter registration - a revolutionary policy that can help add millions of new voters nationwide. And it's getting broad, bipartisan support. The Democratic presidential front-runner and super-PACs aligned with her campaign have released videos of other Republicans ripping the presumptive GOP nominee and of Trump making fun of a disabled reporter. "Donald Trump is dangerous, divisive and deceptive," Brad Woodhouse, the president of the super-PAC American Bridge 21st Century, wrote in an email. "There is no better way to communicate that to the American people than to use Trump's own words against him." Professional hockey star Andrew Shaw was suspended from a playoff game because the National Hockey League recognized that words matter. His homophobic slur aimed at a referee was caught on national television, and the NHL's reaction was swift and appropriate. It sent a message to hockey players and the millions of youngsters and adults watching the game. Words matter. But who will tell our candidates for president that their words matter? Women are bankrolling political campaigns this year more than ever, driven by their rising rank in the workplace, boosts in women's wealth, and networks set up to gather their donations and bolster their influence. In an election year when women could be a decisive force, the transformation is occurring at every level of political giving and in both parties, from grass-roots supporters sending in a few hundred dollars to the rarefied ranks of ultra-wealthy donors who fund "super PACs." Donald Trump said he would visit Israel soon and dodged a question about whether the United States should continue defense assistance to the Jewish state in an interview with an Israeli newspaper. Despite spending months questioning Donald Trump's opposition to abortion rights, anti-choice groups are now singing the presumptive Republican nominee's praises after he reportedly hired John Mashburn, an anti-choice advocate, as a policy adviser. "I know Russia well. I had a major event in Russia two or three years ago, Miss Universe contest, which was a big, big, incredible event. An incredible success," Trump said in an interview. A Trump presidency - if it happened, and surely, we should know not to underestimate the man given what occurred in the primaries - could be devastating for women. Besides the misogyny and sexism that has poured through much of his campaign rhetoric, his policies are likely to harm women as well. Even as President Barack Obama has started issuing regular condemnations of Donald Trump, his administration is already months into a process that could help ease the presumptive GOP nominee into the Oval Office should he prevail in November's general election. Chanan Weissman will make the transition from the State Department to the White House, becoming the first Modern Orthodox Jew to assume this position for a Democratic administration, according to several sources. Precisely because Trump is a loose cannon, he may be convinced to promise his new conservative friends what they really want on the Court: Justices who want to turn the clock back not just to 1972, when abortion was illegal in most states, but to the early 1930s when what we think of as the social safety net was considered a radical and unconstitutional idea. The Supreme Court agreed this week to decide a patent dispute between two makers of adult diapers, not to resolve whether one company stole the design of another, but only whether the rival waited too long before suing. It was apparently just the kind of case that the ideologically divided eight-member high court is prepared to decide for the rest of this year. If They Can't Convince You Garland is Qualified, Who Can? When one thinks of the federal government's top lawyer, Attorney General Loretta Lynch immediately comes to mind. But there's another lawyer, far less visible but no less influential, that matters enormously to the United States on every case where the country needs a defender before the Supreme Court. That's the solicitor general. 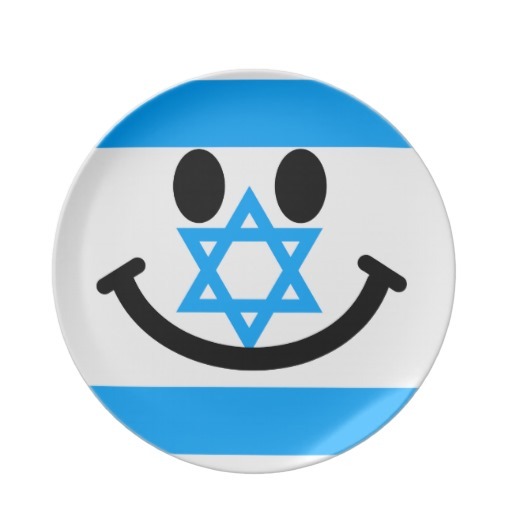 According to the World Happiness Index report, Israel is the 11th happiest country in the world, with means its citizens are happier than those in the U.S. (13th), the UK (23rd), France (32nd) , and Italy (50th). In fact, it has been named the fouth-best place in the world to raise children. In a rare coincidence of the calendar, Holocaust Memorial Day and National Cartoonists Day fell out on the same day this year, May 5. Although it might at first glance seem as if they are two completely unrelated occasions, cartoons and genocide actually intersect in unexpected ways.